Jagjaguwar are not known for the quality of their vinyls. They're not bad but they sure ain't great either. I have this on vinyl, and it sounds just terrible with audible distortion on washy vocals and a general muddiness. I thought it was my cartridge as well. Not the case. And the music sounds perfect on CD. It's a real shame too. This album would lend itself easily to vinyl if the mastering engineer/ pressing plant had any clue. Very disappointed. I have Bon Iver Bon iver on vinyl also and it sounds muddy yet for some reason I find it compliments this actual album and I really enjoy my copy . I have no surface noise but I do have the foggy sound for sure . I love it , but on other records I think I'd be really upset but this one lends itself well to the inperfections .... just me I guess . 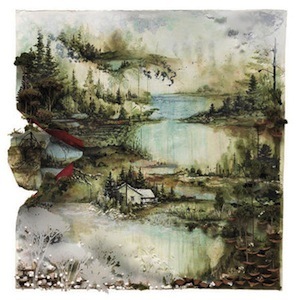 I have this Bon iver Bon iver album and my copy also sounds foggy , very disappointing.